Fotek India importers, wholesaler, distributor, dealers,supplier in India. Fotek proximity sensor, inductive proximity, capacitive proximity, fotek photoelectric sensor, Fotek SSR, fotek relays, fotek light curtain, fotek temperature controller, fotek thyristor, fotek timers, solid state relays, etc. Major customers are presented in all over India. We are covering the following cities in India like Chennai, Madurai, Coimbatore, Mangalore, Pondicherry, Fotek New Delhi, Bangalore/Bengaluru, Hubli, Hyderabad, Vizag, fotek India, Mumbai, Biwadi, Fotek Delhi, Pune, Noida, Haryana, Meanwell Faridabad, Ghaziabad, Meanwell Gujarat, Baddi, Indore, Surat, Fotek Kashmir, Carlo gavazzi Ahmedabad, Vadodara, Vapi, Maharashtra, Kolkata, Westbengal, Punjab, Silvassa, Ludhiana, Goa, Jharkhand, Odisha etc. Authorized distributors for carlogavazzi, fotek, meanwell in India. Fotek Delhi, Fotek Mumbai, Fotek India, Fotek Tamilnadu, Fotek Bangalore, Fotek Coimbatore, Fotek Karnataka, Fotek Gujarat, Fotek Andhra Pradesh, Fotek Haryana are the major place we are covering all over India. Output current 100 mA max. Current consumption 2.0 mA max. 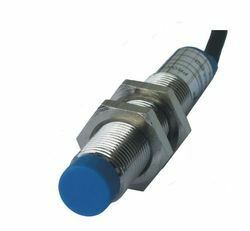 We have gained recognition as an eminent enterprise, devotedly engaged in offering a broad range of Inductive Proximity Sensor. 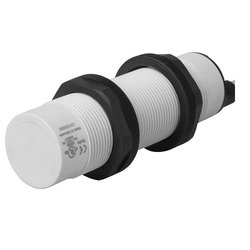 It has 8 mm dia, 12 mm dia, 18 mm dia, 30 mm dia models with their respective sensing distance.Backed by a team of experts, this sensor is manufactured using high grade components and advance technology. Our offered sensor is precision-designed, in order to meet the industry standards. Furthermore, this sensor is available in various technical specifications, as per the varied needs of our valuable clients. Our range is stringently tested on various parameters to assure it on counts of quality. 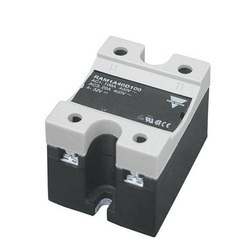 By keeping track with the market development, we are offering optimum quality Solid State Relay. Our offered relay is widely appreciated by our prestigious clients for its precise design and durability. 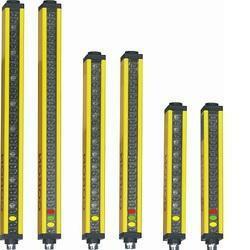 This relay can also be availed in various sizes, designs and other related specifications. Our provided relay is manufactured by a team of our vendor’s adept professionals utilizing quality approved raw material and advanced technology. We offer this relay at market leading rates. Manufacturer & exporter of Fotek capacitive sensors in india distributor, importer, dealer, supplier for india. Fotek capacitive sensors are used as level sensor,conveyor applications,hopper sensor etc. Fotek India Inductive Proximity sensors,proximity sensor,capacitive proximity, Photo sensors,Level sensor,light curtain,photoelectric sensor, Thyristor, Solid state relay(SSR), Temperature controller, power regulator,etc.with this products we are supporting the customers in better aspects all over India. Our firm specializes in offering an excellent range of Light Curtain that has strong body to withstand the vibrations. To maintain industry defined quality standards, this curtain is manufactured using quality proven raw-material and cutting-edge technology. Also, the entire range is examined properly by our quality experts upon distinct parameters of quality. In line with industry set standard, we provide this curtain in various sizes and shapes as per the ever-evolving needs of our clients. 24±20%VDC ; ±20% P-P Max. 60mA / 8 beams max.